The Warmflow Kabin Pak System Boilers (K-Pak) are supplied as a kit, consisting of a K-Pak Pumped Boiler (KPHE) and a System Kit. 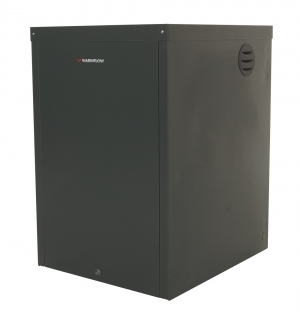 As described above, the Kabin Pak Pumped Boiler (KPHE) is supplied with a pre-wired factory-fitted burner, thermostat and circulating pump. Only one IE320 mains socket (supplied) needs to be wired on site. 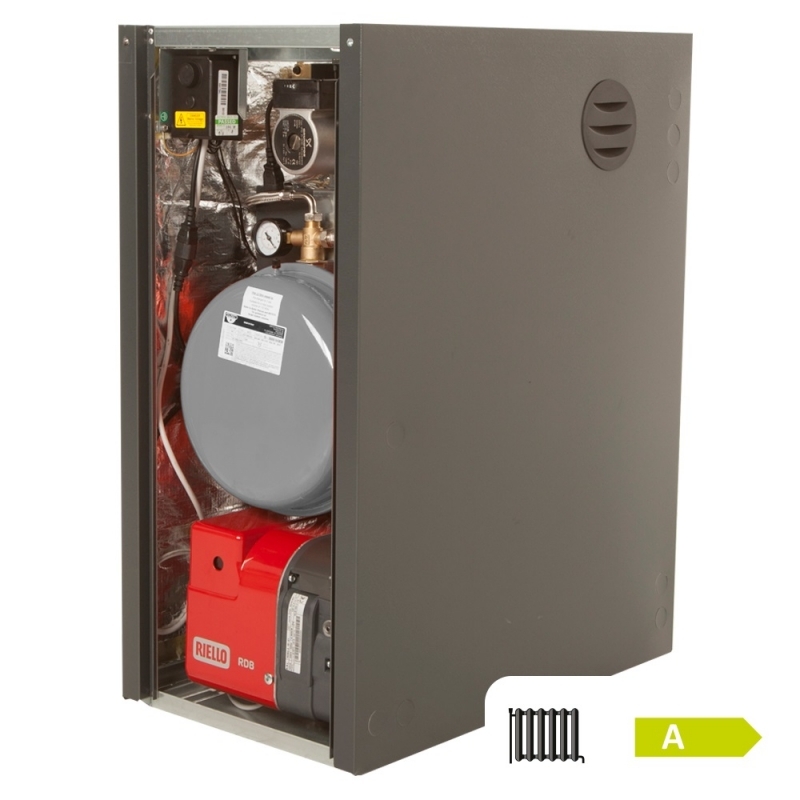 The multi-optional low-level flue can be positioned to exhaust from the back, left or right hand side of the casing. The System Kit consists of a pre-assembled expansion vessel, pressure gauge and filling loop. A pressure hose for connection to the system is also supplied. 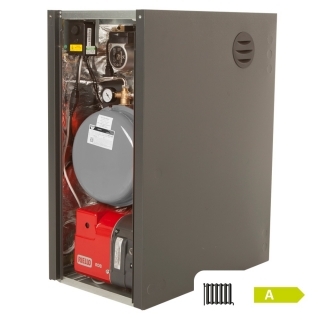 The System Kit can be connected in only a few minutes creating a sealed heating system.